The US-led coalition strikes against the Daesh terror group (banned in numerous countries, including Russia) in the Iraqi city of Mosul on Sunday destroyed 11 of the terror group’s fighting positions, Operation Inherent Resolve said in a press release as the city was declared liberated from the terror group. WASHINGTON (Sputnik) — On Sunday, Iraqi Prime Minister Haider Abadi declared Mosul liberated from the terror group, more than three years after it was seized and nine months after the Iraqis backed by coalition support first launched the assault to retake it. 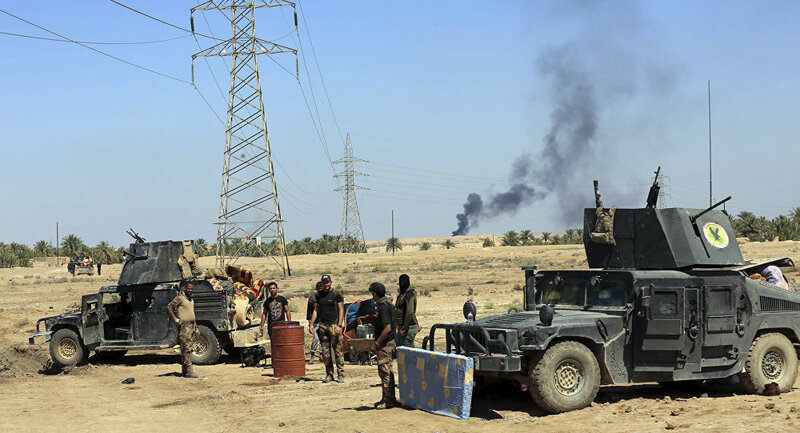 "Mosul, one strike engaged two ISIS [Daesh] tactical units; destroyed 11 fighting positions, 10 medium machine guns, a rocket-propelled grenade system, and a supply cache; and damaged a fighting position" the release stated on Monday. The coalition conducted five additional strikes in Iraq on Sunday, destroying and engaging Daesh tactical units, a logistics center, vehicles and a staging area near Bayji, Fallujah, Kisik and Rawah. In Syria, the coalition carried out 16 strikes consisting of 23 engagements against Daesh targets. Five strikes near Abu Kamal and Deir ez-Zor destroyed terrorists' oil caches, 30 oil stills, a well head and a storage tank. 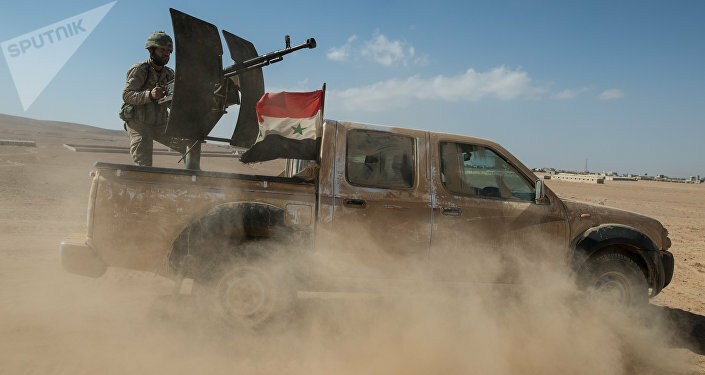 Eleven strikes near the Daesh's de facto capital of Raqqa, where coalition and local forces are still fighting, destroyed seven fighting positions, weapons, a tunnel, a communications tower and an anti-air artillery system, according to the release. The US-led coalition of 69 members is conducting airstrikes, ground-based and rocket-propelled artillery fire against Daesh in Syria and Iraq. The strikes in Iraq are conducted in support of the Iraqi government, but those in Syria are not authorized by the UN Security Council or the government of President Bashar Assad.